Colleyville Carpet Cleaning is the best steam cleaning service in town. We can clean all the floors in your home including carpet, wood, tile & grout, and area rugs. Our goal is to make your floors feel fresh and new again. From the moment we get started working at your house, our mission is to get the most out of your carpet and properly remedy the problem your having at the most affordable price possible. We do very high quality work and we do it as fast as we can so you can utilize your floors as soon as possible. If you need fast carpet cleaning Colleyville Texas, call us now. Up to 4 Rooms Cleaned for only $99.95! We will provide you with excellent customer service, and we guarantee our work to your satisfaction. When it comes to cleaning all kinds of flooring types in Colleyville, Texas, we are the absolute best local choice. We're a family owned business and we've served this community for many years. We use high powered truck mounted steam cleaning machines to clean carpeting. Did you know that most carpet cleaners in Colleyville aren't from this area? We work in this town every day of the week. If you need Scotchgard carpet protector treatment, let us know! We specialize in guarding floors with Scotchgard protection. 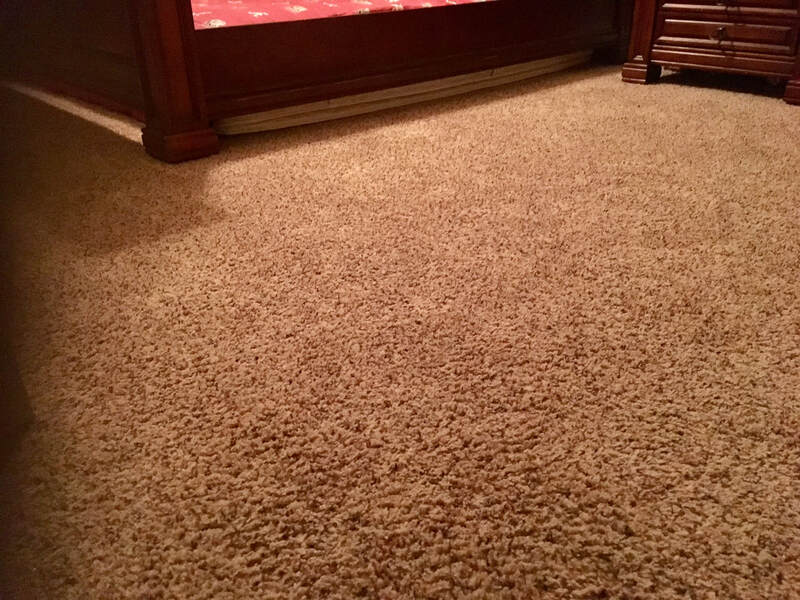 The powerful truck mounted cleaning systems we use allow us to give you deep rinsing capability way down deep in your carpet with a very short drying time. We have spent years determining the best techniques to guarantee you less bacteria and fresher scents in your flooring that need a level of cleanliness that is often overlooked. We've spent years working to guarantee you cleaner and fresher scents in your floors. We'll clean your carpets and floors as quickly as possible with high quality. Your floors will look and feel as good as new when we're done. There's nothing better than freshly cleaned carpet on the bottom of your feet right after it's dried. Clean carpet makes your house smell fresh. We use safe, eco-friendly solvents that not only clean your floors, but also help reduce allergens in your home. This is the best carpet & rug cleaning Colleyville has in town. Most Colleyville carpet cleaners won't wash your carpets thoroughly. 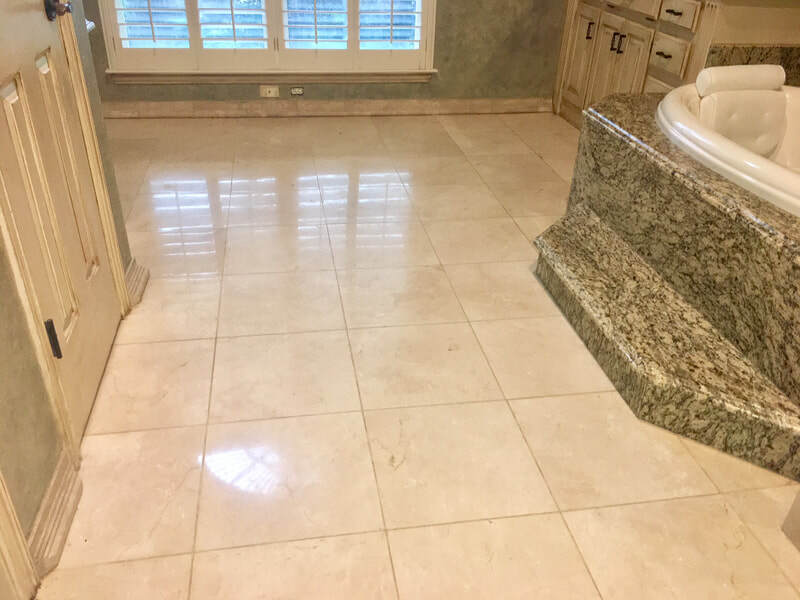 Our high grade equipment will get deep into the grout and natural stone and blast the dirt off the floor. We can clean every type of stain like pet stains, wine stains, and food stains. If you have a cleaning emergency, call us now. You can fill out the form on this page and we will contact you shortly. ​Freshly cleaned carpets and rugs are so very nice. We expect your feet will love the work we do. ​​​We are the local experts at Pet spots and stain removal. We provide a cost-effective cleaning solution that is highly effective! We use the most advanced equipment possible. Our hot steam extraction process will leave your floors looking superb. We a solution that's safe for your floors and your family on all of our cleanings because it simply removes harmful bacteria, dirt and debris from your home. Not all Colleyville carpet cleaner companies are the same. We supply the best carpet cleaning 76034 has to offer at the very best price possible. ​All carpeting should be cleaned at least twice a year to maintain the flooring properly and to extend the life of the carpet. Upholstery and cloth furniture should be cleaned often as well. 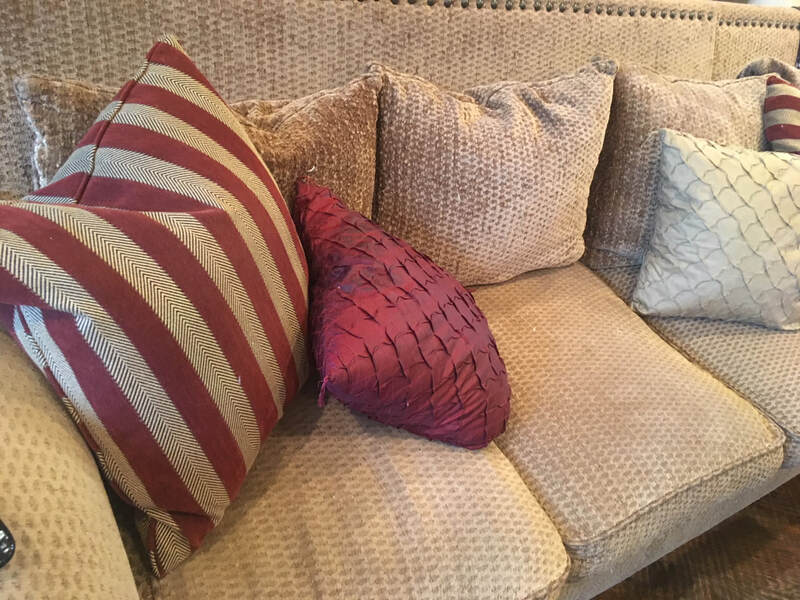 Dirt, dust and debris contribute to the need for cleaning your upholstery and floors. Opposed to throwing away your furniture, call us to revitalize and clean it for you. A good quality old fashion steam cleaning will save you money and your home will smell fresh in the process. We will professionally deep clean and extract any pet odor from your flooring in your house. Would you like to have your draperies properly cleaned? Do you see years of dust built up on your draperies? Dirty drapes are ugly and hot healthy for you. If you'd like a free quote, please call us today. Do you have stains on your furniture that won't come out? Wouldn't it be nice if you could get it cleaned and avoid having to buy a new piece of furniture or having it reupholstered? Call us now. We can help you resolve this problem. We can steam clean your stairs, high traffic areas, any size room, hallways, bathrooms, and we remove water, mildew and mold. We stand by our service. We guarantee our work and we won't leave until you're satisfied. Our prices for cleaning services are simply inexpensive. If you want it cleaned right the first time, call us. We will get it done correctly. Colleyville Carpet Cleaning will professionally steam clean your flooring and upholstery, wood floors, tile, draperies and furniture. We can ensure you a cleaner and brighter looking home. In addition to traditional carpets, we clean rugs, mats, furniture and more. Call us today to schedule and please schedule your appointment. You could have a cleaner home as soon as tomorrow! We clean, polish, and restore all kinds of flooring types at offices, apartments, and houses. We are fully capable of cleaning all carpeting; Berber, Wool, Pile, Textured, Rugs, Afghan Rugs, Oriental Rugs, Frieze, Plush Carpets, Polyester and Nylon. Our technicians steam clean dirt and debris way down deep in your fibers and remove it with powerful suction. Steam cleaning is the best way to effectively clean carpeting and rugs. We offer our customers a safe eco-friendly service by using detergents that are friendly to the earth and aren't damaging. We use extremely hot water to blast away the dirt down deep and truly clean the flooring without causing damage. Our technicians are always conscientious about arriving to your property at the designated time. Our guys are skilled craftsman at carpet cleaning and follow our company policy to treat our client's homes as if they were our own. We can assure you that your house will smell and feel new again when we are done. That's a guarantee. We're the best carpet cleaner Colleyville has to offer. Many Colleyville carpet cleaner companies in the area charge expensive prices. We have very reasonable pricing. Our cleaning rates are fair. Ask about our 4 room special for $99.95. We are stain treatment specialists. Pet stains can definitely be a difficult problem to remove and remediate. We use the safest solvents available to properly treat and remove pet urine smells & stains from furniture and floors. The solvents we use easily removes coffee, mud, dirt wine, crayons, marker, paint, & difficult, pet stains of all any and all types. They are safe and eco-friendly. ​​Don't get rid of your carpet just because the dog has made stains. Let us come and clean it for you. ​Call us to remedy the problem and permanently remove the urine from down the very bottom of the fiber. We can get down deep into the pile at the base and take care of this problem for you once and for all. The solvents and solutions we use are specifically made for the purpose of removing these exact types of pet stains and pet odors. They are gentle and safe, yet get the stains out. We can handle all your floor cleaning needs. If you're happy with our service, we're surely not happy. We will do everything within our power to satisfy you and meet your expectations, every time. We will not finish the job until you are satisfied with the results you've gotten. We clean flooring all over Tarrant County, but we focus primarily in Colleyville, Texas. We actually take a lot of pride in our work. Most of our business is cleaning carpets, tile, natural stone, and hard wood floors. We also stretch and dye carpeting. Some people use us because we don't haggle and waste their time. We make it a practice to not upsell our clients or use the old "bait and switch" technique. No one likes to be price gouged. Some of our competitors in the Dallas-Fort Worth area are well known for taking advantage of local homeowners. We do not do that. The technicians at Colleyville Carpet Cleaning are trained to treat you like family. They value your business as much as the owners of the business. Do you need your carpet stretched? Is it coming apart at the seams in the middle of the room? Do you have ugly carpeting in your home? We fix all sorts of problems that arise with flooring. We do more than just clean carpet! Is your carpet discolored from the sun? Do you have a spot that's worn through the carpet? Don't replace it... We can repair it! We're the carpet repair experts in Colleyville. Call us today! We can also help you rid your home of pet urine odor. If you have cats or dogs that have made a mess of your flooring, Colleyville Carpet Cleaning can most likely fix it with special solvents and agents we use to extract the urine odor from down deep in your carpet. If you're searching 76034 carpet cleaning, you've found the right company. The key to stopping allergens from being released into the air that you can breathe is to regularly clean the carpet in your house. Here's a tip. Properly cleaning carpet often will drastically reduce the number of allergens in your house and extend the life of the carpet. Allergists regularly recommend carpet removal due to allergy concerns. They believe that if all possible places where allergen can be held are eliminated, allergic reactions will disappear. But some people want carpeting in their home because of the many benefits of carpet. The answer is to clean the carpet often which will allow you to have your comfortable, soft, plush floors. Did you know that your pets can be your carpet’s worst enemy? That’s why we've become experts in cleaning pet stains. Buying new carpeting can cost you thousands of dollars. Properly cleaning your carpet will only cost hundreds. Rug cleaning in Colleyville is important to us as well. We operate another company called Colleyville Rug Cleaning. All carpets should be cleaned before they start to show signs of soiling. Failure to maintain a clean carpet will allow allergens and dirt to build-up within the base of the carpeting. Studies show that each time carpet is cleaned, most of the allergens in the carpet is extracted and removed. Colleyville Rug Cleaning is our sister company. They will clean your oriental rugs professionally. If you're in the market to find a good quality area rug cleaner, we are your answer! Call us to get a free quote. We clean all kinds of rugs, regularly. There is no rug we can't clean. Call us (817)601-1199. Our Mission Statement: We're committed to providing the best quality carpet cleaning in Colleyville, Texas at the most affordable prices possible. We specialize in cleaning dog stains and eliminating urine odors from carpet. We take pride in making your carpet so clean it's as good as new. We support other carpet cleaning companies. For the best Carpet Cleaning Tyler, contact our friends at ColorPro Carpetology. We recommend Carpet Cleaning NRH TX for people who live in North Richland Hills, TX. For Southlake Carpet Cleaning, call our sister company in Southlake Texas. And if by chance you happen to be in California, we highly recommend our friends at Lavty Cleaning for carpet cleaning San Diego.